Above Ground Geothermal & Allied Technologies (AGGAT) is a HERA-led co-operative research programme to support the development of Organic Rankine Cycle (ORC) power plants utilizing low enthalpy geothermal resources or waste heat. Aerodynamic design is conducted to evaluate the turbine performance. After that, stress analysis is carried out on the basis of 3D geometry and operating conditions. Then, rotor dynamics analysis is conducted to properly locate the blades and bearings and to ensure that it maintains a 15% difference between operating speed and critical speed, so that the turbine system has enough damping to pass through the critical speed. Finally, the turbine is tested to validate the simulation results and make modifications of the geometry until a good turbine design solution is obtained. As part of the AGGAT programme, Dr. Lei Chen is leading the research on the development of the AGGAT turbine. 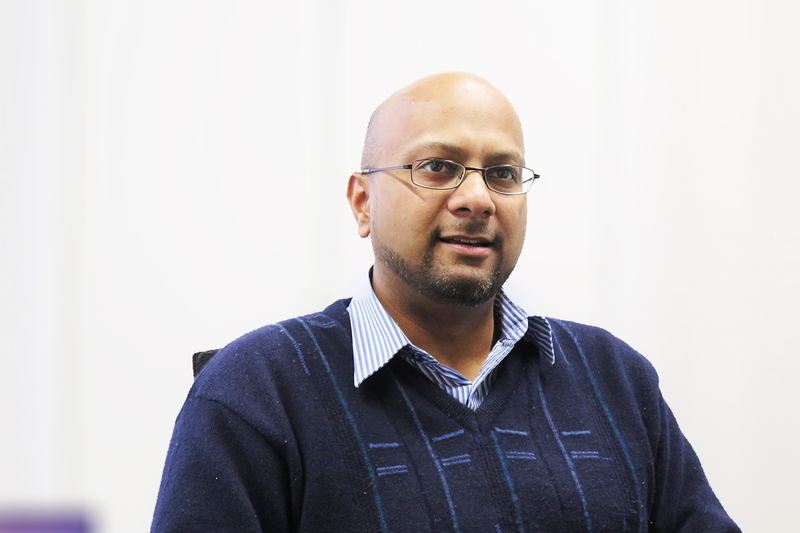 Lei’s research interests include computational fluid dynamics, axial turbine design, and radial inflow turbine design. 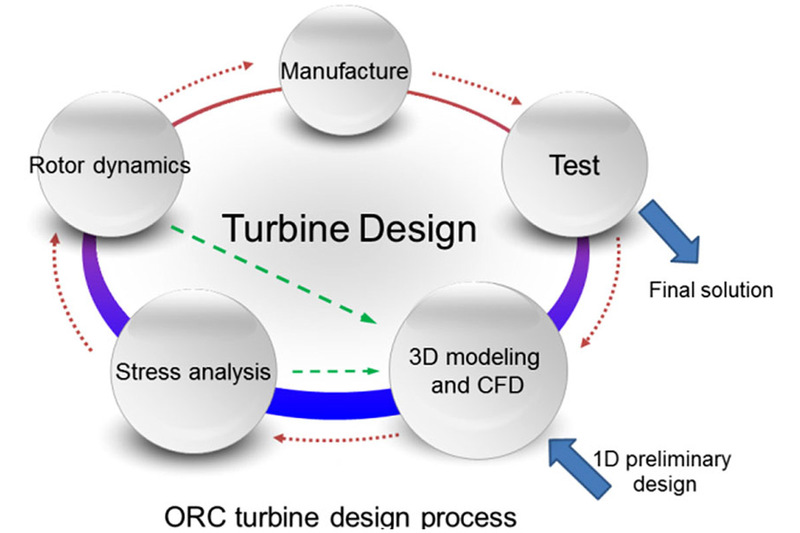 He obtained his PhD degree from Beihang University in Beijing, and his PhD study focused on the aerodynamic optimization design of axial gas turbines, specializing in turbine design theory and blade modelling. Now he is working on the development of a 100 kW radial inflow turbine for the AGGAT programme. 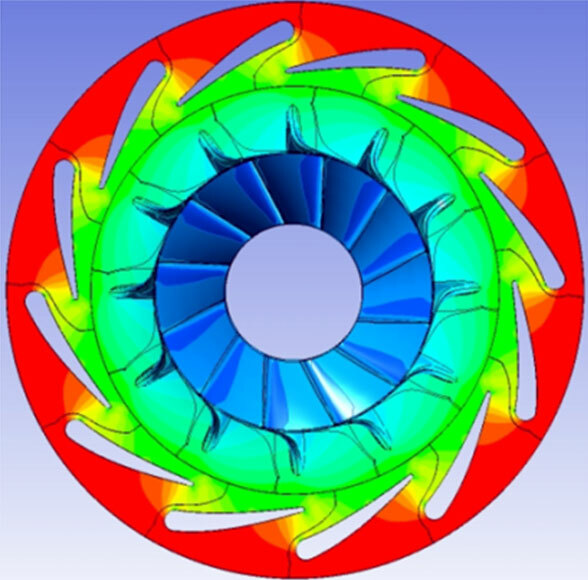 Lei uses in-house code and the ANSYS turbo-machinery module to design turbine blades and flow path. So far, he has explored more than 60 options for the development of the AGGAT turbine. Currently, the most optimal design is with a power capacity of about 100 kW and an efficiency of 0.89. Lei is working on further improving the efficiency of the turbine, which will be followed by stress analysis and rotor dynamics analysis. 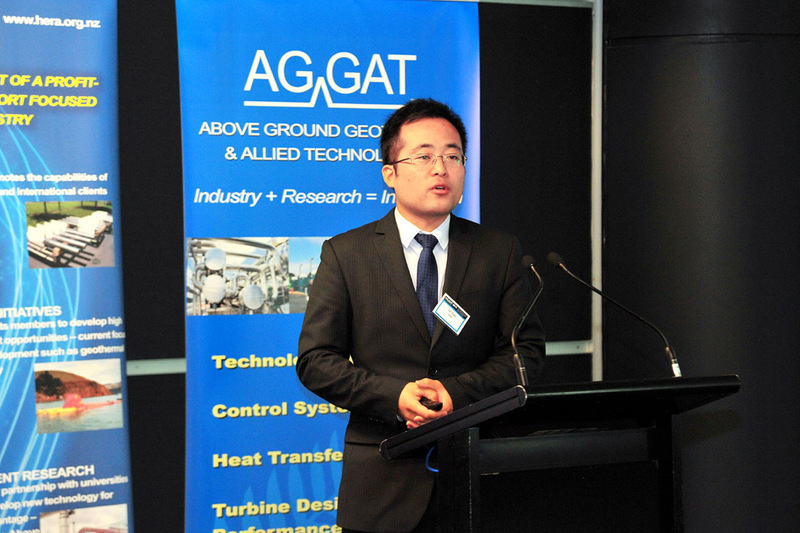 Industry Development Research Engineer Dr Lei Chen presenting on his turbine design works at the AGGAT Global Conference in April.